In a rare fish catch, a fishing trawler near Lakes Entrance, Victoria has caught a rare prehistoric shark with 300 teeth among their catch. 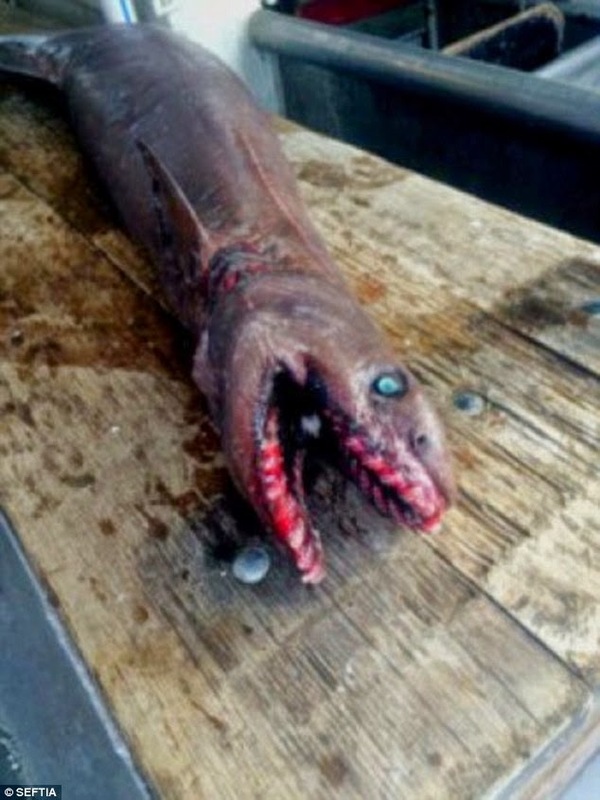 The terrifying fish meaures up to two metres long and was caught at 700 metres below sea level. It is being opined that the origin of the shark dates back 80 million years and is eel-like in shape. It has 300 teeth over 25 rows, which allows it to swallow its prey whole.